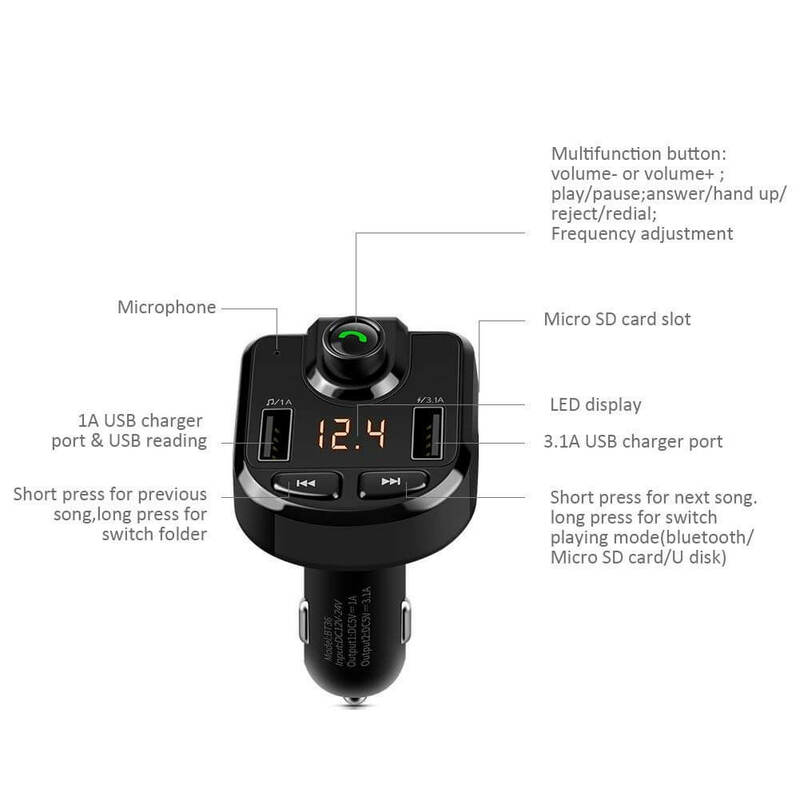 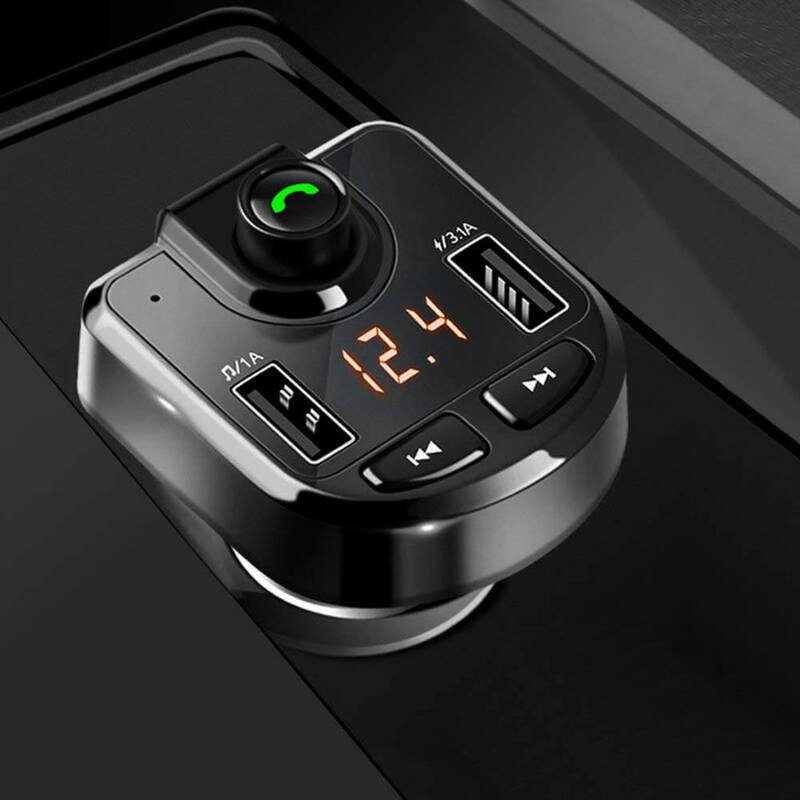 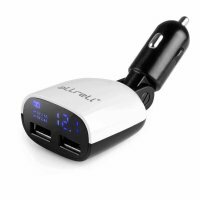 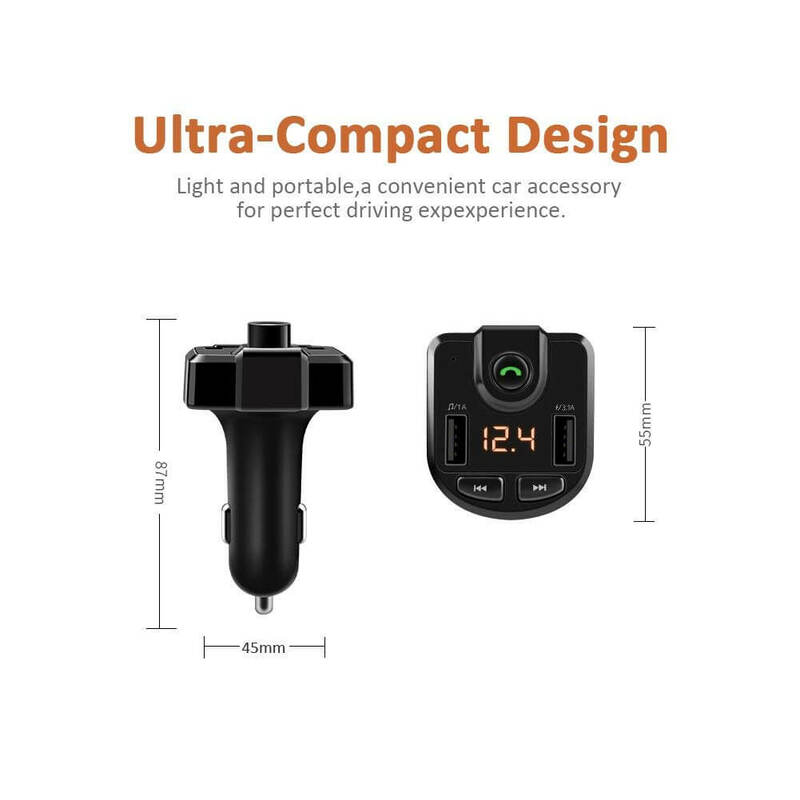 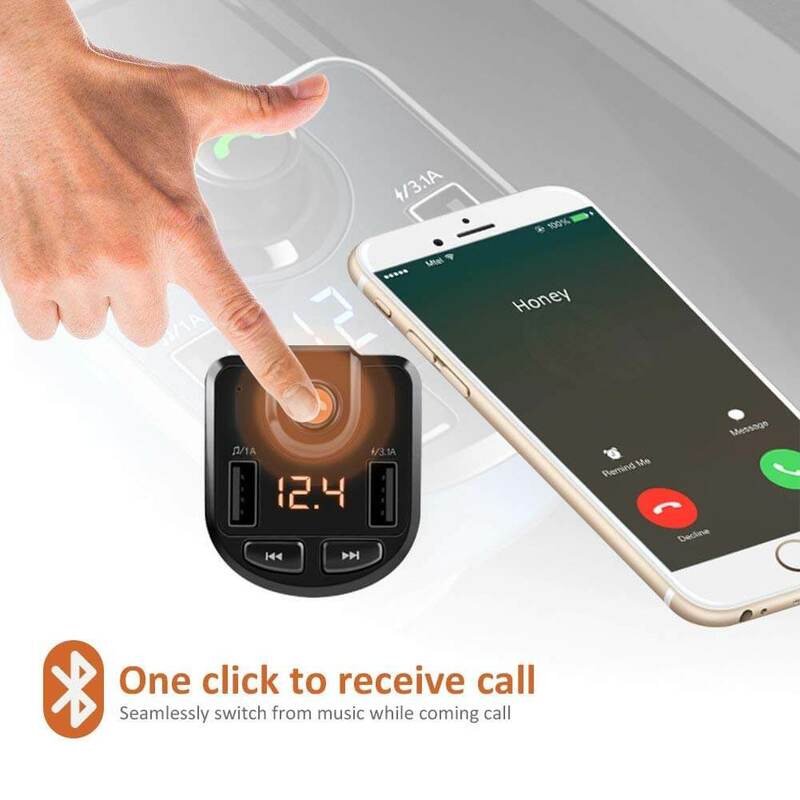 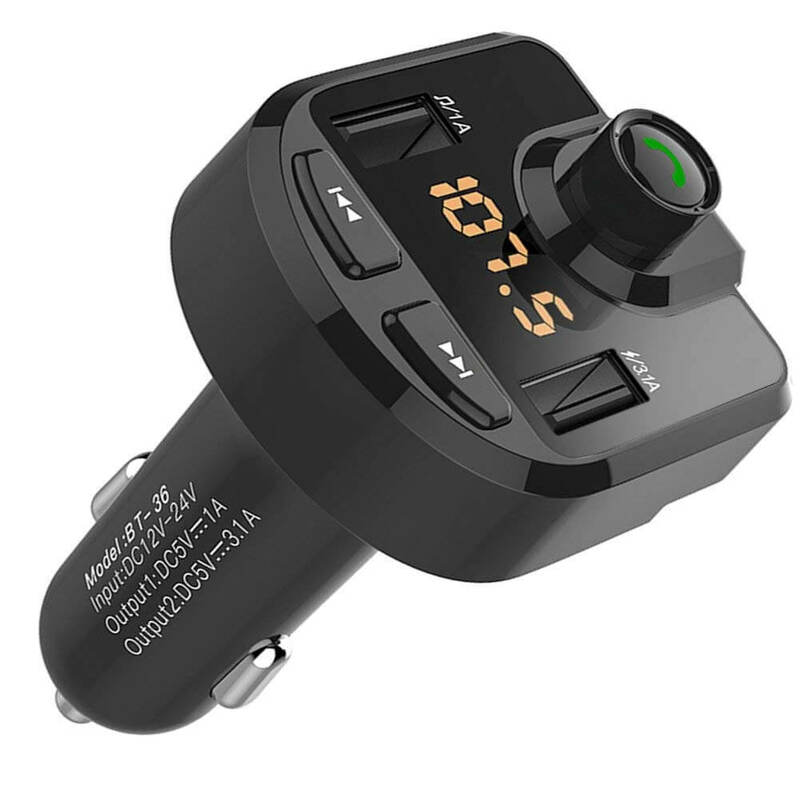 aLLreli Wireless FM Bluetooth Transmitter, car kit with dual USB ports car charger The easiest way to add Bluetooth function to your stereo system; the simple handsfree solution to ensure the wireless audio to your existing car stereo and listen to your favourite songs. 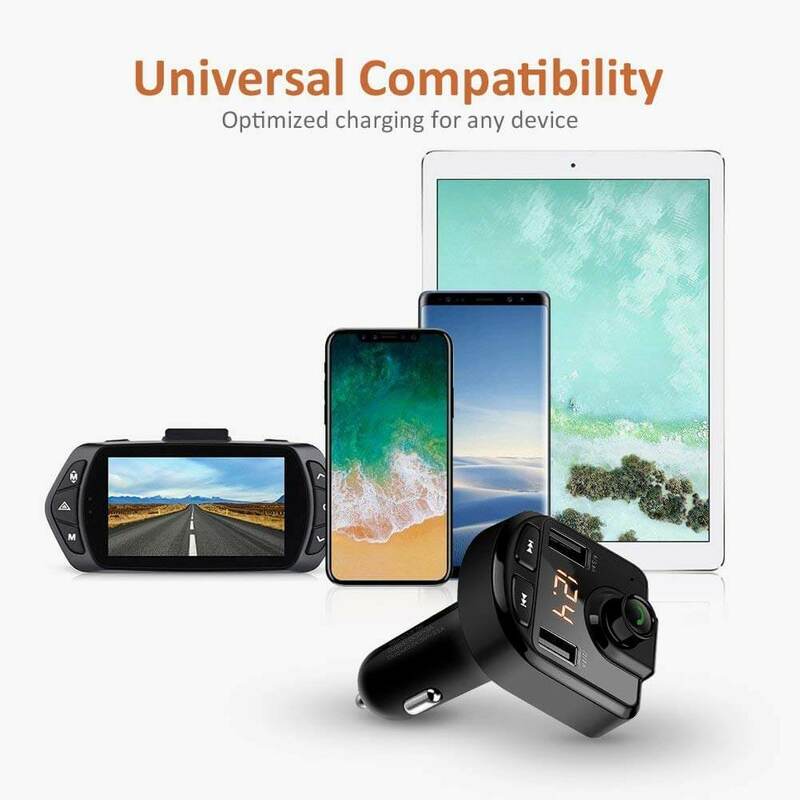 You can listen to your favourite music directly from mobile devices such as iPhone 8 5 6 7 7 Plus X, Galaxy S9 S8 S7 S6, Huawei P10 P8 P9, Sony Xperia, HTC, etc phones, tablets, USB flash drive, TF card, MP3 etc you can also use it to charge your cell phone, tablet PC, etc while you drive. 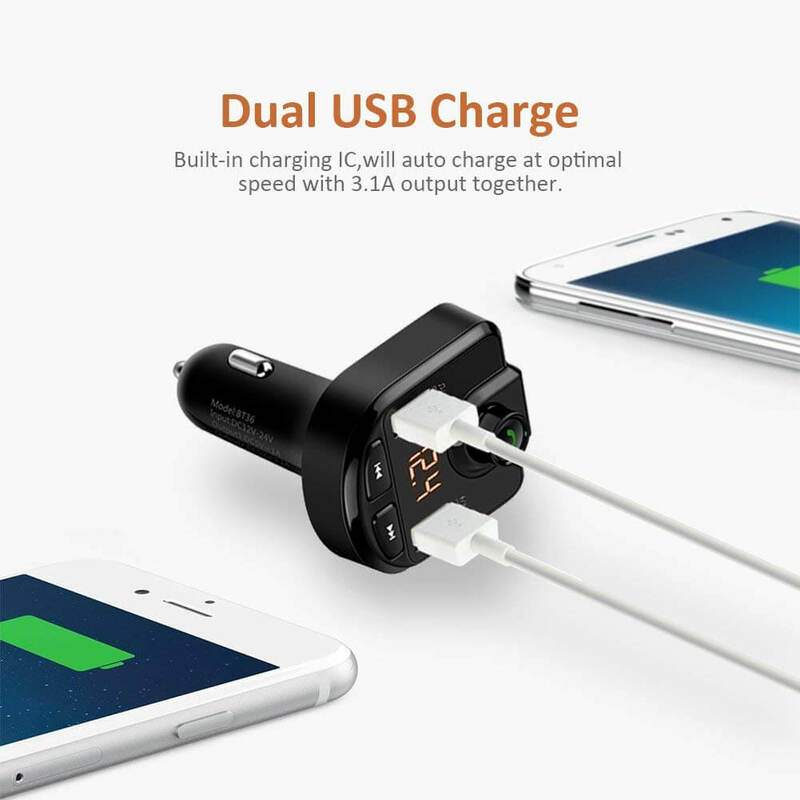 With a USB port for charging 5 V/3.1 A, you can charge your phone or other devices at fast speeds.